Keeping ours bodies healthy is so important, and our hair is no exception. We are now officially in springtime, altough the weather may be telling us different, the constant rain and cold weather, is not only affecting our daily routines, but it’s taking a toll on our tresses. Keeping your hair looking healthy and in great condition does take a bit of work, but it’s definitely easier than you think. Here are a few essential Hair friendly rules, and if you stick to them, your hair will be looking thick, healthy and shiny through rain or shine. Conditioning is the best way to give your hair the nourishment it needs to stay strong, and protein is the key to your hair not just looking healthy but being healthy. So always chosing a conditioner that has protein is essential. Everything you put into your body will eventually show itself in your hair’s condition, so having a good hair friendly diet is also important. protein rich foods are of course important. Eggs are one of the best protein sources you can find. 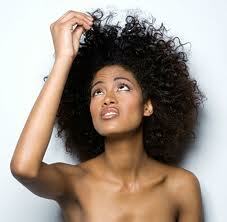 They also contain biotin and vitamin B-12, which are important beauty nutrients. When it comes to foods that pack a beauty punch, it’s hard to beat salmon, as a hair and body health food, loaded with omega-3 fatty acids, this high-quality protein source is also filled with vitamin B-12 and iron. Other foods that are good for your hair, are Dark Green Vegetables, like broccoli and spinach, are an excellent source of vitamins A and C, which your body needs to produce sebum. 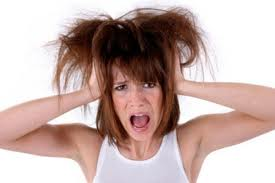 The oily substance, secreted by your hair follicles, is the body’s natural hair conditioner. and Oysters. Oysters are a well publicised aphrodisiac, but they can also lead to healthy hair, so you can’t go wrong with adding the odd oyster to your diet. The ingredient that helps your hair in oysters is Zinc, which is an antioxidant, you can get zinc from eating meats like beef or lamb also. never use hair bands that have metal joiners on them, and always use hair bands that are covered with fabric. people with fine hair are often reluctant to condition their hair, but if you avoid putting conditioner on and near the roots, but concentrate on the mid section and the tips will give your hair the moisture it needs without flattening and weighing the hair down. So there you have it, looking after your hair, will keep it healthy and strong, and looking fabulous, along with the rest of you.